The process to confirm Brett Kavanaugh to the Supreme Court was a hard-fought battle in America. Why? Because his appointment makes the court more conservative for the foreseeable future—a situation liberals were desperate to prevent. During midterm elections, Republicans increased their majority in the Senate, which is the legislative body that confirms Supreme Court justices. This means President Donald Trump will likely put one or two more justices on the court, making it even more conservative. This terrifies liberals even more. There is a Bible prophecy that, I believe, could indicate another effect of this trend in the Supreme Court. I have only come to understand it recently, and it is making me watch the court closely. This passage in Amos speaks of a prophet warning Jeroboam of God’s impending judgment. God says He is measuring destruction against Israel—which in prophetic terms means America. He also warns, “I will rise against the house of Jeroboam with the sword” (verse 9). This prophecy then describes a religious man, “Amaziah the priest of Bethel,” speaking to Jeroboam and conspiring to expel the man delivering this warning from the country. This Amaziah then goes to God’s prophet on Jeroboam’s behalf and says, “O thou seer, go, flee thee away into the land of Judah, and there eat bread, and prophesy there: But prophesy not again any more at Bethel: for it is the king’s chapel, and it is the king’s court” (verses 12-13). “Prophesy not again any more at Bethel,” Amaziah says, referring to the capital city—we could liken that to Washington, D.C., today—“for it is the king’s chapel, and it is the king’s court.” When this says “the king’s chapel,” it is talking about a place of worship that belongs to the king. United States President Donald Trump has a strong following among evangelicals and quite a few Catholics. Many Christians in America today look to President Trump for leadership. Who is this end-time “Amaziah”? He is described as “the priest of Bethel” (verse 10). Bethel is a name for God’s house, which spiritually is the true Church of God. As I explain in my booklet The Lion Has Roared, this is prophetic language for a minister who comes from the Worldwide Church of God. This church changed its doctrines completely in recent years and turned itself into a mainstream Protestant group called Grace Communion International. Amaziah is an arrogant man who cast God’s truth to the ground after the death of Herbert W. Armstrong (Daniel 8:11-12). He is a man who lies profusely. That lying spirit plagues America today. It’s the spirit that drove those working against this Church in our six-year court battle. And it is the spirit that is going to drive those opposing us in our future court case—the Amos 7 case. The pastor general of what was once the Worldwide Church of God recently resigned. It so happens, though, that he is affiliated with the evangelical movement. He holds a position on the board of directors for the National Association of Evangelicals. I believe he will fulfill the role of Amaziah in Amos’s prophecy in this end time. When in Amos 7:13 Amaziah says “it is the king’s court,” the word “king’s” is a different Hebrew word than when he talked about “the king’s chapel.” It means kingdom. The King James Version margin reads, “house of the kingdom.” Wycliffe translates it, “house of the realm.” This is not a religious entity, it is something else: the nation’s house. It is not something that is following Jeroboam, yet it favors him. It is helping him in some way. What is this referring to prophetically? I believe this non-religious entity, the kingdom’s house, is referring to the United States Supreme Court. 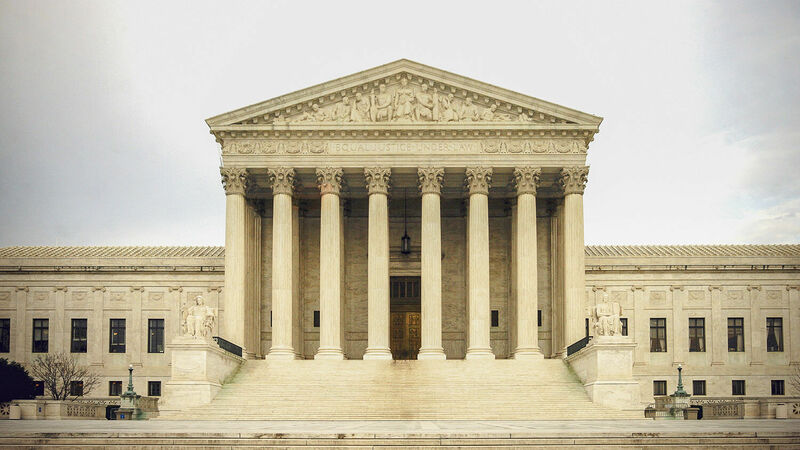 This court was designed to guard the supreme law of the land, the Constitution. In many ways, the Supreme Court is over the whole nation. Even the president is subject to it—which is exactly the type of entity that the “house of the kingdom” is referring to. I believe this prophetic account in Amos 7 implies that there is a conservative advantage in the Supreme Court, one that favors Jeroboam. The confirmation of Justice Kavanaugh could work to help fulfill this prophecy. As I wrote in our previous issue, that confirmation process was a calamitous display of lawlessness and disorder in America (“The Kavanaugh Hearings Reveal America’s Lawless Spirit”). It demonstrated the stranglehold the devil has gained over the radical left. Yet as I wrote, even in such tumultuous times, God is saving America temporarily through Jeroboam. The fact that Kavanaugh was actually confirmed, despite all the protests, shows that to be true. Radicals want to control the courts, especially the Supreme Court, and God upset those plans. He has a plan of His own. 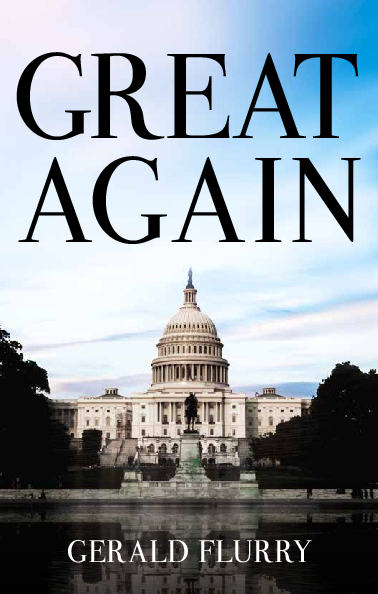 I believe Mr. Kavanaugh’s confirmation indicates God will likely see that President Trump has a second term. The confrontation in Amos 7 is a prophecy of what is about to happen to God’s true Church in this end time. We are going to experience this clash. “Then Amaziah the priest of Bethel sent to Jeroboam king of Israel, saying, Amos hath conspired against thee in the midst of the house of Israel: the land is not able to bear all his words” (Amos 7:10). The U.S. will not be able to tolerate the message emanating from God’s Church! It is a message we absolutely must proclaim, but the people and their leaders will hate what we have to say. Judge Brett Kavanaugh is sworn in during his US Senate Judiciary Committee confirmation hearing to be an Associate Justice on the US Supreme Court, on Capitol Hill in Washington, DC, September 4, 2018. The way the media attacked Brett Kavanaugh clearly displayed how vicious they are when they don’t like someone or something. Those hearings show just how capable the radical left is of attacking an individual. It was not unusual for those who delivered this message in the past to be put to death. The message we are delivering has never been a popular one. The way the media attacked Brett Kavanaugh clearly displayed how vicious they are when they don’t like someone or something. Those hearings show just how capable the radical left is of attacking an individual. They are filled with hatred. They detest criticism. They are not sound-minded. And the power behind them is satanic to its core. That hatred is about to be directed against God’s people. It is clear why God had to intervene to save Israel. Had He not done so, these diabolical forces would prevail. In saving the nation, He also saved spiritual Israel, His Church. However, that saving is only temporary. The Amos 7 confrontation leads to the Amos-type being kicked out of the country! This is a prophecy of God’s Church being expelled from America! I cannot imagine God’s Church being cast out without approval from the Supreme Court. When Amaziah tells those delivering this message to leave, it is a command backed by approval. We will likely see those on the Supreme Court make a decision to send God’s Church away. Five of the Supreme Court justices, including Kavanaugh, are Catholic, and a sixth was raised Catholic. I don’t doubt our message is one they will not like. The Supreme Court’s rejection of our message is God’s way of getting His people out of this country to a safe place. But it is also going to put an important choice before Jeroboam. There is a reason Amos’s prophecy refers to the leader of America in our day as “Jeroboam.” It points you back to the example of the original Jeroboam in Israel. Study that example and you will see that this man’s great sin was that he rejected the house of David and the throne of David (1 Kings 12). The end-time type of Amos represents that house and that throne today. We can deduce that the great sin of this end-time Jeroboam is going to revolve around his rejection of that throne of David. He is going to be shown and really know what the house of David is and the throne of David is, and God is going to make him decide what to do about that. This leader of end-time Israel will have to see that God saved Israel through him! (2 Kings 14:26-27). It wasn’t because of this man’s greatness or intellect or anything he did. God is giving Jeroboam and his followers a clear picture of what would happen if only they would repent: God would permanently save the nation! Sadly, there is no indication that they will repent, which means the nation must be plunged into a time of “great tribulation” (Matthew 24:21). God is giving Jeroboam and his followers a clear picture of what would happen if only they would repent: God would permanently save the nation! Notice what Amos’s prophecy says about the message we must deliver to Jeroboam and his followers: “Then answered Amos, and said to Amaziah, I was no prophet, neither was I a prophet’s son; but I was an herdman, and a gatherer of sycomore fruit: And the Lord took me as I followed the flock, and the Lord said unto me, Go, prophesy unto my people Israel. Now therefore hear thou the word of the Lord: Thou sayest, Prophesy not against Israel, and drop not thy word against the house of Isaac. Therefore thus saith the Lord; Thy wife shall be an harlot in the city, and thy sons and thy daughters shall fall by the sword, and thy land shall be divided by line” (verses 14-17). Amaziah’s command to “Prophesy not against Israel” is a reference to our efforts to prophesy as Herbert W. Armstrong did. This work is commissioned by God to prophesy again (Revelation 10:11). It is not easy to prophesy these things. But it is what we must do! The nations of Israel and their leaders must be warned. This message is not from a man. God is the one revealing what He is doing and what is about to happen. He is making it abundantly clear to the peoples of Israel what they have to do if they want to save their nations: Repent and listen to the message of God. Those who support and deliver this message will have the wonderful blessing of escaping the worst suffering ever on the planet. We all must make a choice today whether or not to obey and then support this message. If we do, then God gives us untold miracles and blessings!